There are two ways to do this. One with just the basic tools provided by paint, and another with a very useful plugin. 1. Expand the colour selection window. 2. Click on the secondary colour. 3. Change the secondary color to something fully transparent. 5. Change from "colour mode" to "transparency mode"
6. 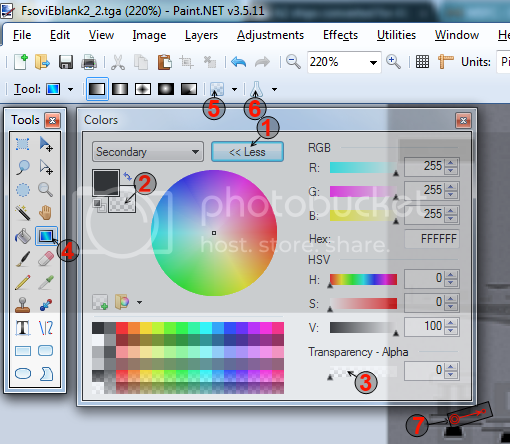 Change from "normal blending" to "overwrite"
7. Click+drag and release the gradient anywhere on the image. 8. Save and you're done. Don't forget to change the modes back when using other tools. Some tools like lines and shapes share these the settings. 3. Change from "Luminosity" to "Advanced"
4. In the white center window, Click+Drag to the upper left corner. Drag a little bit past the corner to be sure. 5. Click ok and save the file. and please put step by step e.g. IIRC there's a Borg cylinder in one of my Borg incursion projects and EVERY model I've converted has always been compatible with both games. what do you mean by "no success"? Where exactly did you run into trouble? It is many times more difficult to explain something when you don't know what the problem was. 3. Export using the appropriate export script. 5. Load the models in storm3D and again check that everything looks normal. 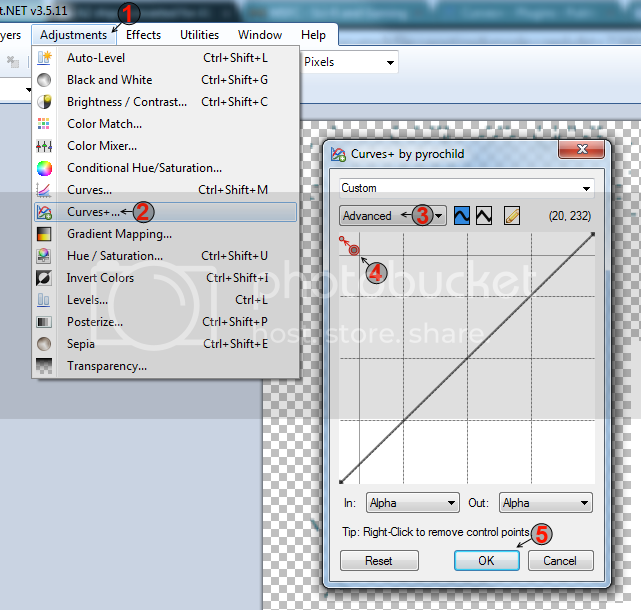 - Step 2 is knowing the basics of rotating/zooming in 3dsmax. See tutorials or youtube videos on 3dsmax basics. - A1 storm3D tool has decent documentation provided with it in the download. I just didn't want to rewrite anything that's already been well done. Please let us know where exactly you had trouble. I suggest using Storm3D to check SODs for errors. This eliminates all other possible reasons for a crash on load. Does the model load in storm3d? does it hang the utlity? does it give a white cube with SOD-OFF written on it? What is the file size of the exported SOD? If it is 0 bytes, something went wrong in the export process. Remember that for A1, everything needs to be attached to a "root" node, where as in A2, everything is attached to a "Scene_root" node. Last edited by galac on Sun Sep 01, 2013 3:07 pm, edited 1 time in total. here are the files, wich i have "edited"
That site seems to require you to sign up. If you can, please upload to a place that doesn't require signing up. I can look at the max file, as well as the SOD to see what's going on. Also verify that the emitter and sprite entries exist in A1.The standard damage stuff was just copied over, but it could be that your specific model has some extra emitters or sprites that aren't in A1. Other sprites can be in any of the sprites files, but things like lights are generally in lights.spr.